Use packing materials such as cartons, paper, bubblewrap, plastic covers and packing tape to protect your goods whilst in storage. Towels, blankets, and pillows work well too. Fill each box to capacity to prevent collapse. Seal with strong packing tape, label with a description, and number cartons on 2 sides. Clean and throroughly dry freezers, fridges and other whitegoods before storing. Secure doors so they’re slightly ajar with a deodoriser placed inside to maintain freshness. 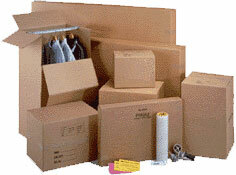 Place a layer of packing inside the bottom and top of cartons containing breakables. Wrap items individually in paper and pack carefully in cartons. Never pack fragile and heavy items together. Fill any gaps in the carton with paper to prevent movement. especially whilst in transit. Make sure to label cartons “FRAGILE” and avoid storing heavy items on the top of these cartons. Place the items you will be accessing most frequently closer to the front of the storage unit. Heavier boxes with heavier items go on the bottom. Lighter boxes with fragile items get stored on top. Remove batteries from toys, appliances and remote controls to avoid possible damage from leakage. 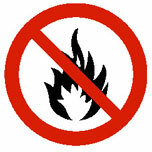 Any goods that are illegal, flammable, explosive, hazardous or perishable; or other items that need a controlled environment. This may include paint, oil, or gasoline.